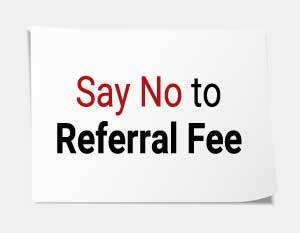 The “referral fees” paid to the doctors by the private hospitals, nursing homes, diagnostic centres etc. for referring patients and payments made on account of “advertisement expenses” by the medical practitioners were allowed, although such expenditure has been held as disallowable and “unethical” as per CBDT’s directives and laws of regulatory bodies. The Comptroller and Auditor General (CAG) has asked the Central Board of Direct Taxes to disallow expenditure by companies in respect of all kinds of freebies and referral fees paid to medical practitioners. It also asked the CBDT to disallow advertisement and business promotion expenses within the purview of explanation under section 37 of Income Tax Act 1961 to create an additional deterrence against such unethical practices. The CAG in its report tabled in Parliament observed that the “referral fees” paid to the doctors by the private hospitals, nursing homes, diagnostic centres for referring patients and payments made on account of “advertisement expenses” by the medical practitioners were allowed, although such expenditure has been held as disallowable and “unethical” as per CBDT’s directives and laws of regulatory bodies. The CAG has also recommended to CBDT to prescribe measurable parameters for assessment of charitable activities undertaken by private hospital trusts as a pre-condition for granting exemptions under the Income Tax Act. Despite the availability of systems viz. Income Tax Payer Data Management System (ITDMS), Non-filers Monitoring System (NMS), Project Insight and other versatile tools for analyzing data collected from external sources for widening of tax base, audit noticed that these have not been effectively utilized/ implemented for strengthening the tax base in private healthcare sector and for identifying the stop-filers and non-filers. The existing tools could not be used to cross-verify whether medical professionals and medical companies/healthcare facilities registered with other registering agencies were effectively covered in the income tax net. Absence of any system of such cross-verification points to the possibility of potential assessees remaining outside the tax net. Audit noticed that businesses under healthcare sector like medical clinics, diagnostic centres, pathological labs and other medical supplies agencies/stores under the existing allocation of codes based on the nature of business with respect to healthcare assessees were not codified. This negatively impacts monitoring and vigilance of the healthcare sector as well as collection and sharing of relevant information on sector-specific issues. Audit found that there was no mechanism in existence for the identification of non-filers through NMS in Delhi, Kerala, Rajasthan, Tamil Nadu states. The NMS module also did not have any provision for generating reports based on the nature of business. Surveys, though an effective tool for strengthening tax base as well as deterrence against evasion, were not utilised at all in some states during FYs 2012-13 to 2015-16 by ITD. ITD has not undertaken any impact analysis to assess the outcome of relief provided to assessees engaged in the private healthcare sector. The Income Tax Act does not prescribe any measurable parameters to assess the extent of charitable activities being undertaken by any hospital trust availing the benefit of exemptions under the Act. This gives rise to a possibility of assessees availing exemption without actually performing any charitable function. Audit noticed that hospitals in Maharashtra have availed unjustified exemptions amounting Rs 249.66 crore involving revenue impact of Rs 77.14 crore. Audit noticed that in Maharashtra, out of eighty seven cases falling under stand-alone hospital category, the section 80G certificates were available only in 10 per cent of cases. In the absence of section 80G certificates, it was not clear as to how the Assessing Officers cross-verified the donation receipts vis-à-vis the claims. There is no provision in the ITD module to enable validation of section 80G certificates by Assessing Officers as in done in the case of TDS certificates under TRACES. The provision under section 35AD of the Act does not specify the allowability of deduction on capital investments in cases where the value of land and building were not separable, resulting in allowance of excess deduction and loss of revenue. Audit noticed instances where exemptions were allowed to ineligible assessees engaged in trading/commercial activities, as well as instances of incorrect allowance of accelerated depreciation on items not classified under life-saving medical equipment, incorrect allowance of deduction under section 80IB of the IT Act on incomes from non-hospital activities and irregular allowance of deduction on provisioning rather than on actual capitalization under section 35AD of the Act. Audit noticed instances where the provisions relating to depreciation on machinery and plants as well as depreciation on other assets and amortisation of preliminary expenses were allowed erroneously. Provisions relating to allowances of business expenditure, tax deducted at source (TDS), minimum alternate tax (MAT) and set off of carry forward losses were not followed correctly by the ITD during assessment. The Assessing officers omitted to obtain details of cases where cash receipt and payments were made in contravention to sec 269SS and 269T and also failed to initiate penalty proceedings. The computation and allowance of capital gains/losses were not carried out according to the provisions of the Act. In some cases, incomes of the assessees were not considered in accordance with the laid down provisions of the Act. When all other businesses are allowed to deduct expenses incurred in promoting and securing business, there is no reason why health care industry should not be allowed the same. iwill be glad if hospitals are punished with heavy penalty, as they are bribing doctors and looting public. Hospitals give cuts to ambulance drivers, auto rikshaw drivers and many more who brings patient to hospitl by hook or crook. This refference fees increase cost of treatment by 40%. On the basis of equality, if other businesses and industries are allowed to deduct the expenses incurred in promoting and securing business, there is no reason why hospitals should not be allowed the same. Is it legally unethical to do advertisement to promote the business??? Hippocratic oath do not tell not to do advertisement. As well it do not tell to starve and serve the human being. Oath is for doctors not owners of hospitals and other centers . Owners of Hospitals and institutions are for business which are under the ambit of CPA . Therefore advertising for the Hospital business is very much justified . Hippocratic oath do not tell you to starve and serve the people. Business advertisement has nothing to do with ethics of the profession. Is it legally unethical by any business to do advertisement and promotion ?? ?